This is the fourth in a series of posts on my last meals in the Kansas City area. To start from the beginning of the series, click here. 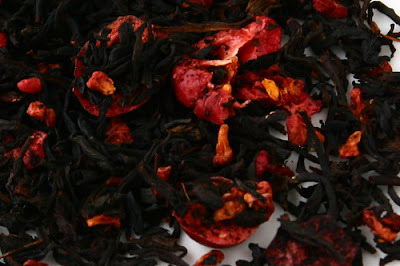 I love tea, mostly because it is my major source of caffeine since I quit coffee in 2002 (long story). As such, I love a good tea shop, and Tea Drops in the Westport area of Kansas City is one of my favorites partly because of their extensive selection of loose leaf teas, and partly because they make a mean bubble drink. 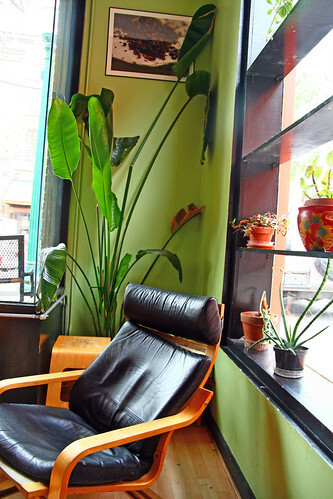 Tea Drops is sunny and spacious, and makes a perfect place to pull out a laptop and work for a few hours (free wifi) while sipping delicious tea, which is typically what we do when we visit Tea Drops. I usually get one of their bubble drinks. I used to really love bubble tea, a flavored beverage containing chewy tapioca pearls that originated in Taiwan, when it became popular in Toronto in the '90s during my high school years. Made sense, because my high school was about 50% Asian and located in a town where 31% of the residents is ethnically Chinese. After a while, though, I think I just got sick of it, particularly because many places just do such an awful job with it. 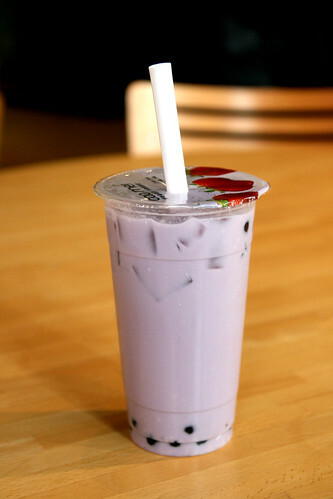 So I was admittedly a bit skeptical when I decided to try my first taro bubble drink with soy milk at Tea Drops - I mean, let's face it, Kansas City isn't exactly the first city you'd think of when you ponder the question, "Where do I find a good bubble tea?" But it turns out I couldn't have been more wrong! Tea Drops' bubble drink was one of the best I've ever had. Maybe it's the soy milk - who knows - but the drink had just the right amount of sweetness and milkiness without being too overwhelmingly sweet or tasting too diluted or watery. It was just perfect. I was just about to order the taro bubble drink during this last visit when I noticed that they had a combo that was even better - taro coconut. And boy, it was was heavenly! Wish I could have stomached another. 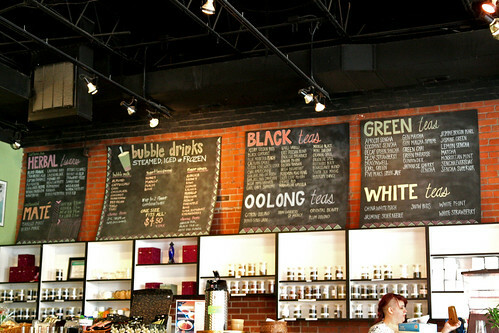 Tea Drops is definitely one thing I will miss about Kansas City!